Cambo Estate maintains around 70 acres of woodland and an extensive network of woodland footpaths linked to the Fife coastal path passing across Cambo’s 2-mile sea border. The paths, including the disabled access badger trail, are open to everyone to enjoy a great excursion on the Crail – St Andrews stretch of the coastal path. 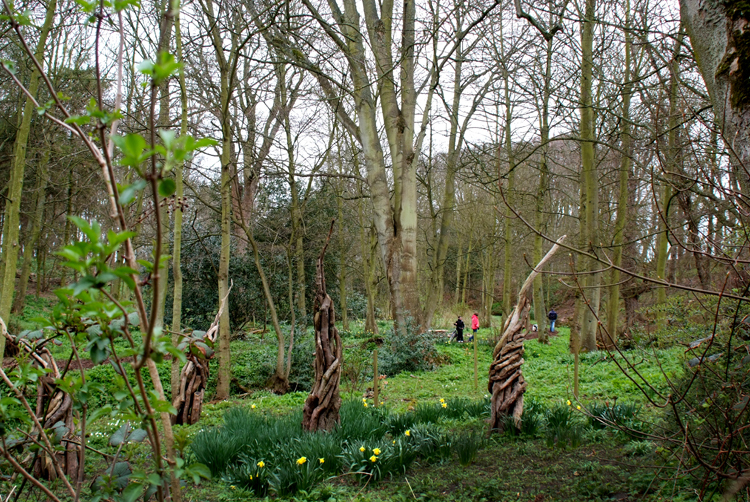 The woodland is managed to promote a well-balanced ecosystem for our abundant wildlife. Harvesting of timber is managed in such a way that brash piles and the occasional standing dead wood are left behind to create a rich habitat for wildlife and to promote a healthy ecosystem. Collect a map from the Tack Room Shop to explore. We work in partnership with many groups and organisations to support woodland management and conservation. We currently work with Phoenix Futures Recovery through Nature programme who are doing amazing work transforming woodland near Kingsbarns Village.